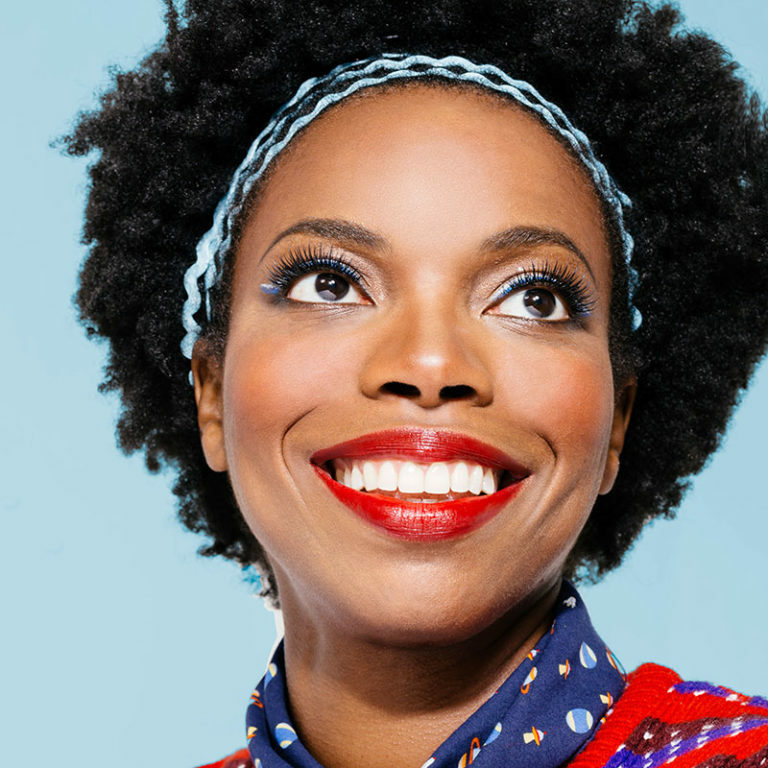 Sasheer Zamata is a comedian, actress, writer and 4 season cast member on Saturday Night Live. She just released her first one hour special, “Pizza Mind” to rave reviews.She received improv and sketch training from the Upright Citizens Brigade Theater, and performs stand up at colleges and clubs across the country. Additional TV credits include Transparent, Inside Amy Schumer, People Of Earth among many others. She’s told stories for This American Life. She co-created and co-starred in the webseries Pursuit of Sexiness, which was named one of the Top 10 Web Series of 2013 by Variety, and part of Glamour’s 7 Web Series We Can’t Stop Watching in 2015. Sasheer has been listed in Cosmopolitan’s 13 Funny Women to Watch, Time Out New York’s Top 10 Funniest Women in NYC, Brooklyn Magazine’s 50 Funniest People in Brooklyn, and Complex Magazine’s Women in Comedy You Should Be Paying Attention to Right Now. She’s performed stand up at Bonnaroo, SXSW, Moontower Comedy Festival, SF Sketchfest, Vodafone Festival, Bridgetown Comedy Festival, New York Comedy Festival, Brooklyn Comedy Festival, Limestone Comedy Festival, Woodstock Comedy Festival, North Carolina Comedy Arts Festival, Great American Comedy Festival, and Women in Comedy Festival.